Your care routine paper and daily sheets can now be paperless! To improve the continuity of care between home and service, Educa has launched its new Routines tool, now available on customer sites. Not only will it improve your level of service, it will save you time and paper. Educa has always been about making a child’s learning visible to parents, promoting shared care between family and childcare staff. And about making life easier for early educators. One way to lift the quality of care and save time is to improve the communication for day-to-day happenings. Routines will help you give every child in your care a voice by completely digitizing your daily sheets. 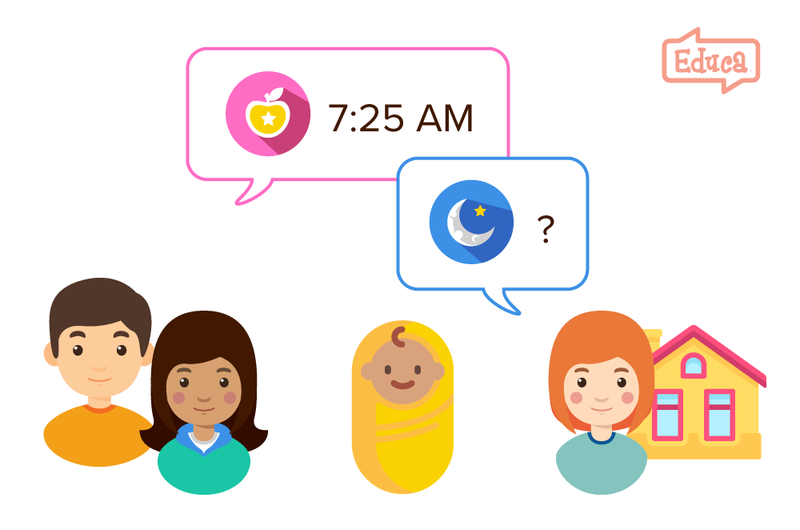 Staff and parents enter diaper changes, sleep times, and more in a shared record that goes back and forth from home to your service, following the child. It provides a continuity in care that removes the guesswork. And while it is super handy for babies, as you know with daily sheets, you can also use it to track food and/or sleep times for toddlers and older children. Digitizing daily sheets, sharing information (such as diaper changes) not only empowers childcare staff and parents to provide continuity of care, it helps you build stronger relationships with your families. It creates a closer collaboration and daily connection. Parents and staff can use information recorded in the Carebook to anticipate a young child’s needs, and improve the quality of care that you are able to provide. Furthermore, by replacing daily sheets, clipboards and all that, it reduces the need for paperwork and will save a lot of trees! Finally, and maybe best of all, it’s built into your existing Educa system. There’s no set up. Register for a webinar on Routines here. Unlike paper daily sheets, filing is easy — we store all records you create permanently for you online, so it complies with licensing and compliance requirements. 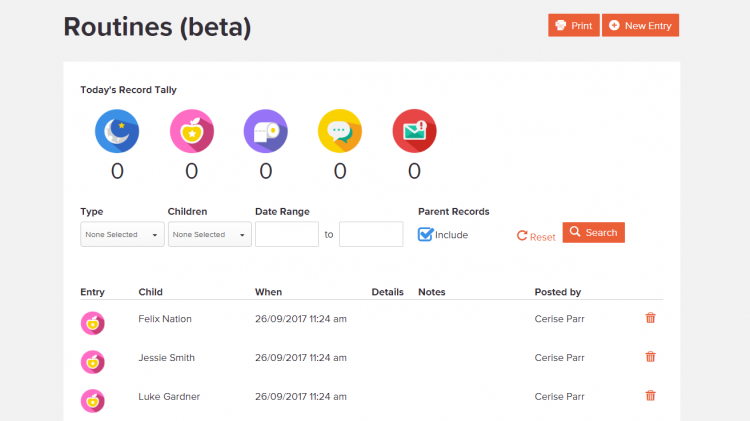 And also, unlike daily sheets, records are easy to find — using the filter search you can look for records within a specific date range, for a specific child, or records for a specific type of entry. You can access Routines from your Educa site at any time via the child’s page. It will soon be accessible via the Educa Touch app on the more page. is this designed for home based child care or child care center? Routines can work in either setting, home-based or in a center.